Take a tour through the history of ancient and pre-colonial Ecuador on a Quito City and Middle of the World Full-Day Tour with Good Life Expeditions. Spend some time strolling through Quito’s Historic Center, where you’ll get to learn the city’s secrets and treasures of art and architecture dating back over 500 years. 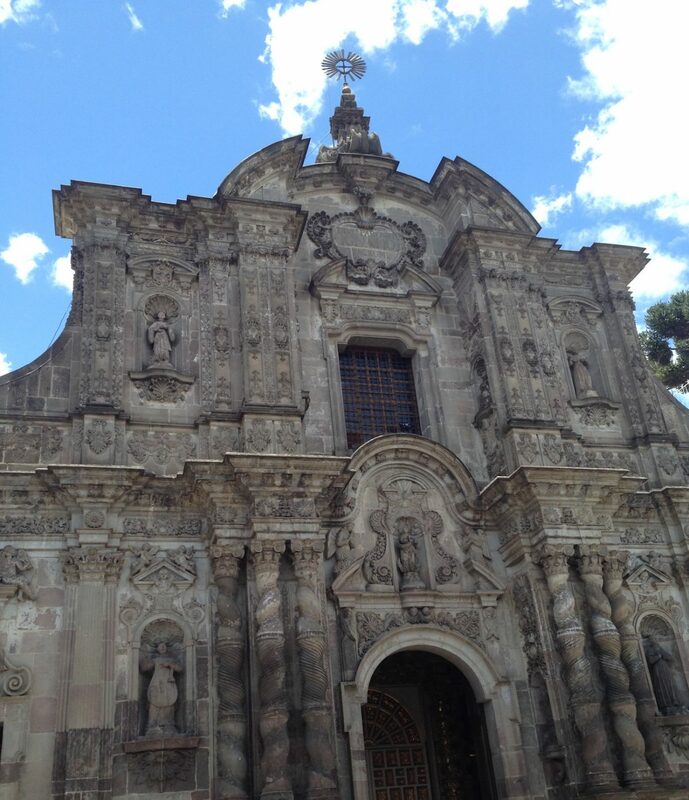 It is the largest and best preserved historical center in South America, and also a UNESCO World Heritage Site. The city’s beautiful convents, churches, squares, and neighborhoods are a sheer example of great architecture with splendid interiors. The intricate design and gold gilding are a result of the “Escuela Quiteña de Arte,” the art movement from the XVI century that fused European and indigenous cultures. Visit some acclaimed spots such as the Independence Plaza, the Basilica of the National Vow, and the Presidential Palace. Once you’ve finished absorbing the beauty of the city, drive to Mitad del Mundo — the Middle of the World. Here you’ll find a monument marking the point where the equator passes through Ecuador. Not only is the site at zero latitude, but it’s also the closest spot in the world to the sun. Tour the Intiñan Solar Museum where you will learn the history of some of Ecuador’s indigenous cultures. Try keeping your balance as your walk along the equator line, and then try your hand at balancing an egg on a nail – a trick only possible at the equator. Countless tourists over the years have had their picture taken with a foot in both hemispheres! When you travel with Good Life Expeditions, you can take confidence that your trip is both environmentally and socially responsible. 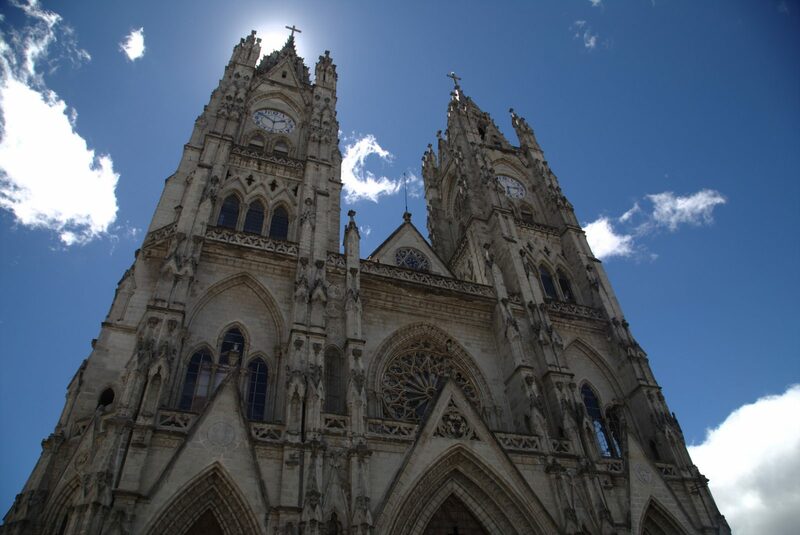 Add a Quito City and Middle of the World Full-Day Tour to any of our Ecuador itineraries. Start planning today by contacting our expert travel team!